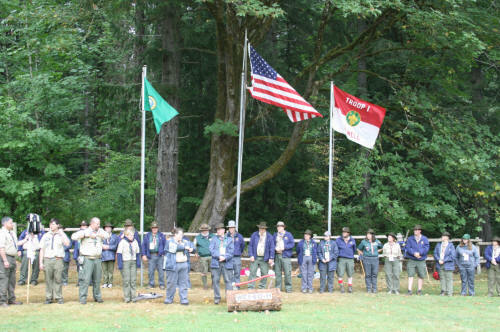 Pacific Harbors Council holds its Wood badge adult leader training at Camp Thunderbird each year. In 1911, Baden-Powell took the first steps in training Scouting’s adult leaders by organizing a series of lectures for Scouters. He made great strides in the years that followed, culminating in 1919 with the establishment of Wood Badge training. The course is a fun-filled, rapid-paced, hands-on, lecture-practice environment. Practical exercises, in both indoor and outdoor settings, are a core component.